What happens if assessors can’t agree on the scores in NHS Continuing Healthcare care domains? In a full assessment for NHS Continuing Healthcare there should be a multidisciplinary team (MDT) discussing a person’s care needs. It’s not unusual for members of that team to disagree over the individual scores in NHS Continuing Healthcare care domains. So if that happens, what scores should actually be recorded? If the members of the assessment team cannot agree on the individual scores in NHS Continuing Healthcare care domains, the higher score should be awarded. This is the score that should be noted in the Decision Support Tool document. For example, if the social worker believes the score in the Behaviour domain should be Severe, and yet the nurse assessor wants to record a lower score of Moderate, and if they cannot reach agreement, the score in the Behaviour domain must be Severe, i.e. the higher score. What if you disagree with the scores in NHS Continuing Healthcare care domains? You as your relative’s representative may disagree with a particular domain score. You’re entitled to voice your concerns and to argue your point. Although the score you are arguing for may not actually be accepted by the assessment team on the day, your view should certainly be noted in writing on the Decision Support Tool document alongside the domain you disagree with. Always remember that a full assessment with a multidisciplinary team is just that: a team assessment; it is not for one person to decide what all the scores will be. Despite that, families often report one CCG assessor dominating the meeting and imposing their own opinion/bias on the final scores. That is unacceptable. So if you find that one assessor is riding roughshod over other people’s professional views, and if there’s a disagreement about the scores or your own views are being ignored, quote the paragraphs above to the lead assessor. 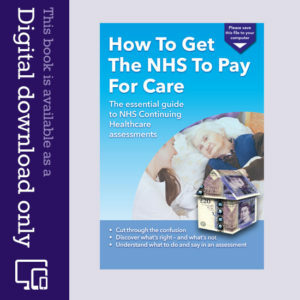 What re the NHS Continuing Healthcare assessment guidelines? 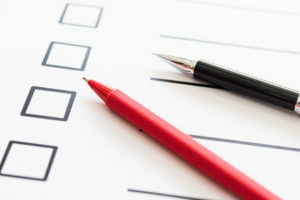 What are the stages of the NHS Continuing Healthcare assessment process? Why are elderly people often wrongly charged for care? My Mum is finally going to be assessed for Continuing Healthcare after receiving the NHS funded nursing care for some years. Whilst going through the checklist with the assessor, the nursing home representative and I thought she should be scored an A for mobility as she has a high risk of falls. The assessor disagreed and scored her a B as there is no evidence of lots of falls. She fell in January breaking her hip and because she has severe dementia does not realise that she cannot stand. 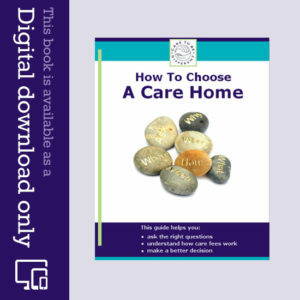 The care home have been very good at managing the situation, hence no subsequent falls. The assessor suggested that they recorded attempts to stand, but I feel that realistically this may not happen. Has anyone any thoughts on how I might proceed in the actual assessment. Thanks for the helpful comments-really appreciate it. As my brother and I don’t live locally we have asked on several occasion if a Skype meeting or telephone conference can be set up with us, both for the initial checklist and DST assessment. This request was refused outright as we were told it has to be face to face. Whilst I appreciate this is the best way of proceeding, surely given the practical difficulties of attending in person ( and the fact they never give more than a couple of days notice) are they correct to refuse to hold a meeting other than face to face? My brother and I have LPA (Health and Welfare) for my Uncle and the hospital has a copy of this and we are recorded as representatives in his medical records. Neither of us live locally but we visit regularly and have found communication from the hospital to be very poor in a number of areas (e.g. they have recorded my telephone number incorrectly on at least 3 separate occasions which has meant that they have been unable to contact me). My Uncle has dementia (confirmed by recent CT scan in hospital). He was originally admitted to hospital following a fall when he fractured his hip, but his mental health has deteriorated significantly since admission, to the extent that he is now extremely confused, has hallucinations and has lost a lot of weight since admission. He can only eat with prompting, is doubly incontinent and cannot mobilise at all and requires the use of a hoist. He doesn’t understand simple instructions and often has problems with long term and short term memory. We received the DST assessment yesterday recommending that he is not eligible for NHS CHC. Neither my brother nor I were invited to the assessment meeting; it was simply recorded that “nephews don’t live local but we emailed a copy of the assessment (yesterday) for them to read through. They are visiting this weekend and if they have any questions about the assessment they can ask the ward staff”. There is nothing recorded on the DST where it asks whether representatives were present or offered the opportunity to be present at the DST assessment. It also records that my Uncle did not participate as he was deemed not to have capacity. Whilst there are several areas my brother and I disagree with on the assessment and inaccurate details have been recorded, we are frustrated and upset that we were not even afforded the opportunity to be present at the assessment and now feel that we are on the back foot. Is there anything we can do to challenge this or is it simply better to record our comments on the assessment and submit it to the assessment team prior to the Panel decision? Similar experience except we were effectively barred from the Decision Support Tool meeting despite requesting to be present …called an unfortunate oversight! We said Behaviour should be assessed to be at the highest level due to incidents at home putting mum and sleepover Carers at risk. They said there was no evidence of these incidents in the care home …(.reason the incidents were being managed as she had no access to danger) and mum was put into a care home on the recommendation of the community mental health nurse. 7 years later we have finally met someone face to face. The argument continues. These people will learn if people like us with the help of this excellent website continue to battle. Thanks for your kind feedback on the website, Gill. This is exactly what happened in my grandmother’s Decision Support Tool meeting. I quoted the NHS Continuing Healthcare guidelines a number of times, only to be ignored. Despite repeated disagreements between the lead assessor of the CCG and the Social Worker, no higher domain was recorded. Now we’ve got the final report back, the domains have been scored even lower by a CCG representative who didn’t even attend the DST.